The multiplayer PC horror game, Dead by Daylight, is set to receive another Play for Free weekend. The event officially kicks off later this week on December 15. The last Play for Free weekend for Dead by Daylight took place last August, so now players will have another shot at checking out this engrossing video game developed by Behaviour Digital Inc. and published by Starbreeze Studios. Proving that there are some fun and unique horror games on Steam, Dead by Daylight is a multiplayer horror game with a fun, unique spin on multiplayer gameplay. Since it launched last June, Dead by Daylight has delivered a compelling and engaging horror-themed gameplay experience. In Dead by Daylight, one players gets to play the role of a savage killer, like a killer out of a slasher movie such as Halloween, Friday the 13th or Nightmare on Elmstreet. In this 4vs1 setting, while one player is the slasher killer, the other four players get to take control of other survivors. Their goal? Try to get out of their location by getting caught or killed and suffering a savage death. Dead by Daylight delivers a fun, macabre atmosphere that’s straight out of a horror film and engaging gameplay. Other video games have had this type of 4vs1 format, but never quite like this with the moody ambiance, impressive graphics and a visceral style. It takes classic horror tropes and conventions and perfectly translates them to a multiplayer game format in a way that’s compelling and interesting. When you look at the maps, the locations and themes are all instantly recognizable or evocative of classic horror cliches, archetypes, locations and characters. However, Dead by Daylight totally embraces its horror roots and that comes across in the gameplay execution. Remember that thrill you get watching the horror movie as a character or victim is being stalked or chased by a psychotic killer? Dead by Daylight translates that thrill into gameplay. However, there’s an extra layer of fun here because players can actually experiment by getting to play the monster hunting its victims. Not many games have really experimented with this type of style. In Dying Light, there is a multiplayer mode where players could take control of the mutant zombie called the Night Hunter. Or in 2K Games’ EVOLVE, players could take control of the monster or a group of hunters trying to track down and kill the monster. However, EVOLVE isn’t really horror-themed. The gameplay style where players take control of the monster is more like a giant boss from a sci-fi game. EVOLVE is about empowering the player to basically play as a giant boss-level type character. It doesn’t really have that creepy, visceral horror-movie type of style that’s imbued into Dead by Daylight. That’s what makes this gameplay experience truly unique. It has that dark and bleak factor of victims being hunted by a dark and powerful force that’s virtually unstoppable. Additionally, Behaviour and Starbreeze just released the latest DLC chapter for the game, which is Of Flesh and Mud. This marks the third chapter of the game. There’s a witchcraft aspect because the DLC features hexes and flesh made out of mud and decay. Of Flesh and Mud focuses on a hag who has been driven mad after being devoured alive piece by piece. A survivor now believes he constantly has luck and his side. The new locations and multiplayer maps for the DLC feature a wetland area with burned shacks, along with a very creepy maze of mud, and a rusting boat graveyard that players will have to brave in order to survive. There’s also a fun new killer to take control of here in The Hag, along with a new survivor, who is Ace Visconti. So basically, players will be able to sample the game for the free weekend, just after a new DLC chapter with new content has launched. The new DLC is available with a 10 percent discount at launch on Steam. The DLC first chapter that’s available for the game is The Last Breath. The Last Breath is a funk twist on horror movies, such as John Carpenter’s horror classic Halloween. It features an insane asylum, which is always a good location for horror movies and video games. 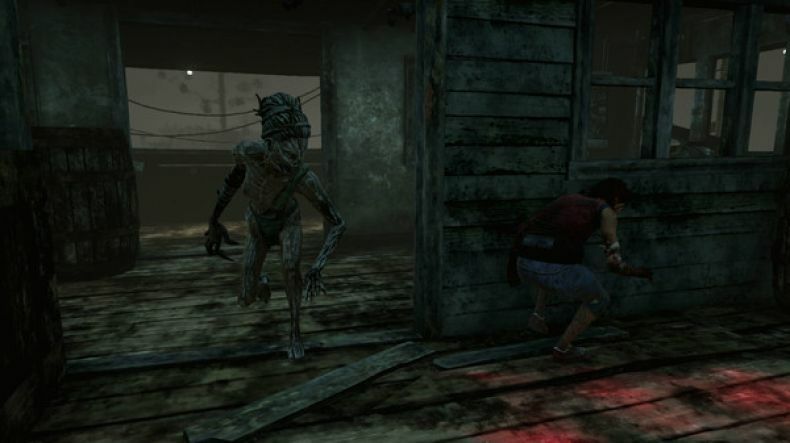 The killer for this chapter is The Nurse, and the survivor character is Nea Karlsson. Steam is currently offering The Last Breath DLC for the game for free. The game is definitely building a nice backlog of maps, survivor characters and also savage killer characters. Hopefully, Behaviour Digital Inc. will continue supporting Dead by Daylight with new content throughout 2017. The possibilities for new maps and characters for players to utilize are numerous. Another fun idea for a map could be a hospital or high school at night, or maybe an abandoned shopping mall out of something like a zombie horror film. Dead by Daylight is currently available now on Windows PC via Steam. The free-to-play weekend kicks off on Steam starting Thursday, December 15. You can also check out a teaser trailer for the Of Flesh and Mud DLC chapter int he player below. 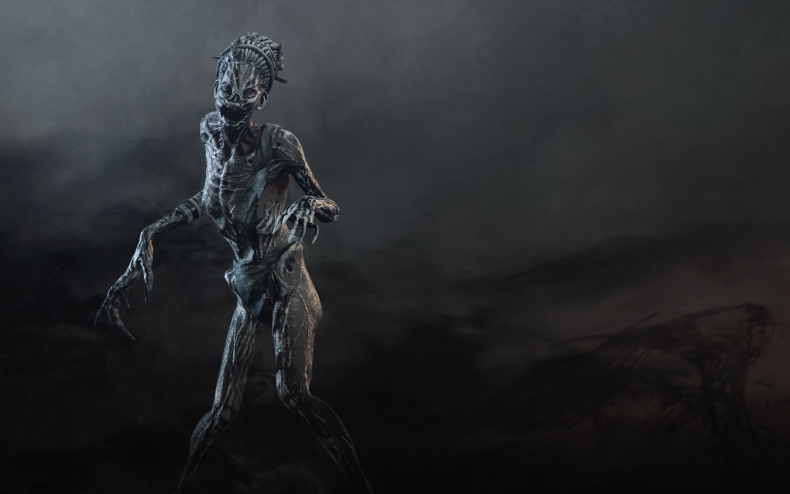 The teaser features a look at the new multiplayer maps and The Hag in all her glory. Her design looks absolutely terrifying and lugubrious. Also, the base game is available now on Steam for $19.99. If gamers are interested in investing another $10, they can purchase the Dead by Daylight Deluxe Edition on Steam for $29.99. For the Deluxe Edition, players also receive a nice art book and the game’s official soundtrack. Another fun piece of DLC that’s available for the game is The 80’s Suitcase DLC for $2.99. This DLC offers players the chance to use 1980s inspired fashion and skins for all their survivor characters. Gamers who love 1980s horror movies will be right at home with these clothing sets. So, they can truly transport themselves to the 1980s, which is a big benchmark and important decade for classic horror movies. and the Play for Free Weekend!